Former President J. J. Rawlings has accepted an invitation to feature in a special one hour documentary film being shot by the British Broadcasting Corporation(BBC). The film which will feature President Rawlings and a Kenyan journalist will be examining the problems that confront African Countries as to whether these problems are self-inflicted or caused by external factors. The former President will be sharing his several years experience and views on the general themes of globalization, colonization, history, tribalism, slavery, poverty, corruption, disease and leadership. Later this year, the BBC will be running an African Season and this film will be broadcast to a worldwide audience. The filming will take place in Tanzania, Rwanda and Ghana. 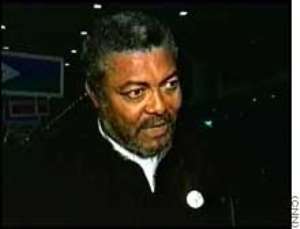 President Rawlings will be away from Ghana for 14 days.